The Honda EU30i Generator is truly portable whilst being ideal for the more demanding user, delivering 3kW of silent, stable power. The folding handle allows quick & easy lifting & towing by one person. 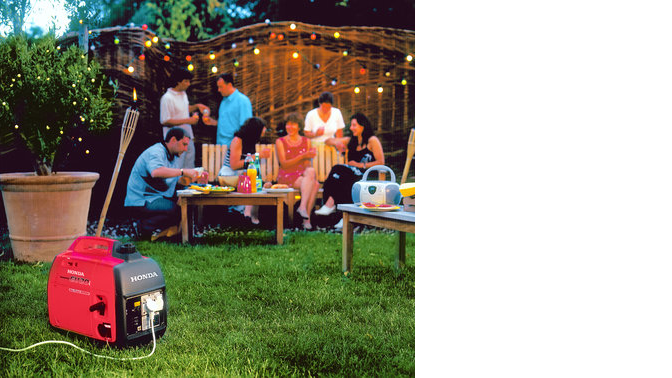 Ideal for camping, boating, around the home or caravan, wherever you need to power or recharge your equipment you can rely on the EU30i generator to provide it. This innovative generator provides 3 kw of electricity and enables optimal fuel usage, owing to the incorporation of the Honda designed Eco-throttle system. MAKE SURE IT'S A GENUINE HONDA. Just because it’s red, doesn’t mean it’s a Honda. High standards come at a premium so don’t trust anyone who tells you they’ve got a product that’s just as good. 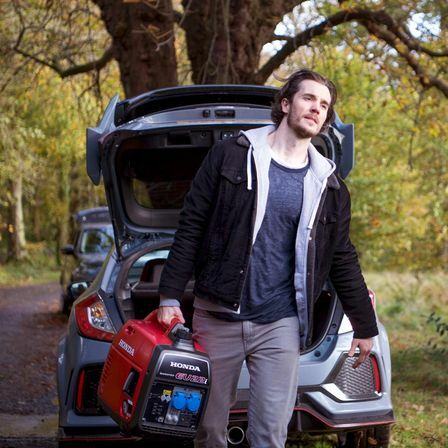 There’s nothing like a Honda Generator with its unique Inverter technology, which guarantees smooth, uninterrupted electricity. You’re safe to plug in your laptop, or any other sensitive electronic equipment and it won’t get fried.